Found 7 file extension associations related to Git and 7 file formats developed specifically for use with Git. 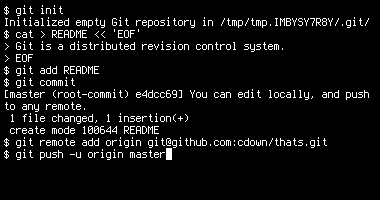 Git is an open-source version-control system designed to handle very large projects that are distributed over multiple repositories. It was developed by Linus Torvalds for developing Linux kernel. Now is used by various program developers. If you need more information please contact the developers of Git (Linus Torvalds), or check out their product website.